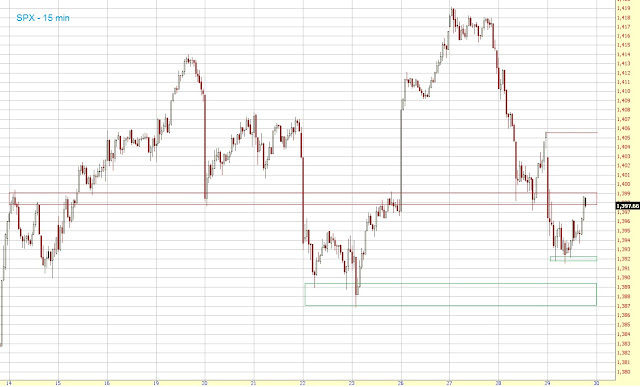 The SPX broke the 1397ish level shortly after the open and then declined further. I actually thought we could hit the support at 1390 but the market decided to form a triple bottom at 1392 and then to rally into the close once again. The SPX is now bumping against the resistance at 1397-99. If breached we could even see a gap close.